Most people know William Frederick "Billy" Gibbons as the sunglasses-wearing, bearded guitarist in the band ZZ Top. This born & bred "Sharp Dressed" Texan recently spun his signature rock and blues into something a little bit different -- something you may never have expected. Perfectamundo is the first solo album by Billy Gibbons and the BFG's. It's tasty Latin and Cuban inspired tunes mixed with his sweet-talking raspy vocals creates a unique flavor that will not only attract fans of ZZ Top, but will most undoubtedly reel in some new followers. I caught up with Billy recently to discuss this new project. 45 years of playing music in bands. Why did you think the time was right now to release a solo album? Did you ever consider doing one earlier in your career? BG: We certainly considered doing something apart from ZZ Top yet most of those ideas had strong blues/rock overtones and when all said and done, the best rhythm section is still Dusty (Hill) and Frank (Beard), which pretty much equates to ZZ Top in (thin) disguise. So the invitation to participate at the Havana Jazz Festival got this one off the ground. The whole idea as off-the-wall as it seemed, we figured, "Why not?" That started some mean Afro-Cuban creative juices flowing, which is where it definitely went. "I wanna tell you a story" is the beginning lyric to "Treat Her Right" off of your new album Perfectamundo. When you look at the album as a whole, can you sum up in a sentence what you want your audience to know or learn from these new tunes? BG: "Put the rhythm up front and the backsides will come." That's what was learned many years ago from the great Tito Puente who showed us the way toward Latin percussion and rhythms. We took the advice and did our thing. 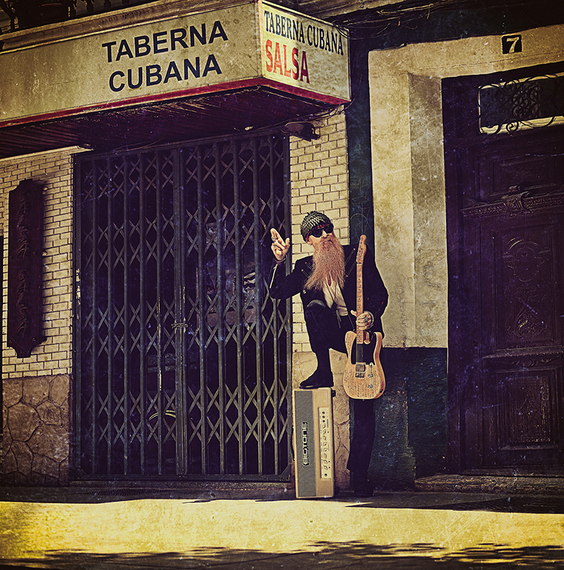 Of course, the guitar player, borrowed from ZZ Top, coming from a staunch blues tradition prompted some fierce mashing and melding to fit with the Latin rhythms. It's a hybrid, for sure, yet one we think is a good combination for easy mambo or moshin' -- or both! Is there a song that you heard maybe as a young adult, or early on in your career that was the model for the music that we hear on this album? BG: That selfsame Tito Puente's "Ran Kan Kan" is infectious, dramatic and "muy rítmicos." Remember the Joe Cuba Sextet's "Bang! Bang!" -- that pretty much spelled it out. We've been bangin' it out ever since. Don't forget Ray Barreto's "El Watsui" -- that's an insane record! You took Slim Harpo's "Got Love If You Want It" to a new level, giving it this new sultry beat and infusing it with your signature sweet talking bravado. When you think about past remakes of well-known songs, which cover versions really took the original down a new route? BG: That is the premium example that's really deconstructed yet, at it's core, the cha-cha feel remains. "Got Love If You Want It" had the rhythmic structure intact that lent itself to Afro-Cubanization. It was meant to be. The rock and blues are still present throughout Perfectamundo, but you touch on more of a pop sensibility with the synth sounds, vocal manipulations, and a hint of Latin beats. Were you purposely trying to pull in a newer or different audience with this album, or is this something that has always been inside you, but wasn't the best fit for a ZZ Top album? BG: We have not been technology averse with this project nor, for that matter, with ZZ Top. Think about Muddy Waters when he, so masterfully "discovered electricity" meaning he went from rural acoustic blues to plugged-in electric. He had the power and knew how to use it. There's no percentage in being totally resistant to innovation nor is it wise to throw the kitchen sink in, technology wise just because. The key includes elements that enhance the overall effort. No distraction. You have appeared as a guest on numerous albums. One of the most recent ones was on the song "Wear You Out" on Buddy Guy's new CD. Is there a song that you collaborated on that sticks out in your memory more than others? Maybe one that inspired you in a way that you didn't expect? BG: We were kind of flattered when Shemekia Copeland, the reigning Queen of the Blues, extended the invitation to join in with her version of our own "Jesus Just Left Chicago." We've long admired her Dad, Johnny "Clyde" Copeland, who was a great Texas bluesman. This is an especially significant recording. How do you feel technology has changed the music industry today and specifically being a guitar player? BG: Technology has made it easier to do just about everything as far as harmonics, effects and access, however, as a guitar player; it's still about "speaking" with the hands. That's where the "language" gets true process. You are heading out on a tour soon to promote your solo album. What are you looking forward to the most about playing these new tunes live? BG: Getting out there and playing and getting a human response is still a kick. When we have a good time, everyone has a good time and when everyone is having a good time, we have an even better time! It can all feed on itself. We're really looking forward to letting it loose and turning it up! Rock on...! 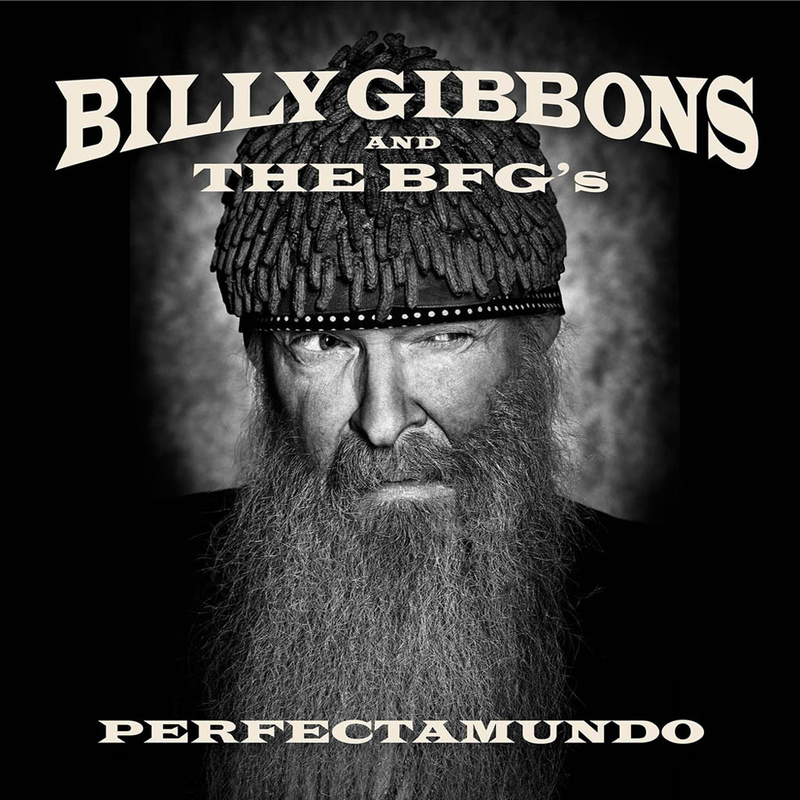 Check out Billy Gibbons and the BFG's first solo album Perfectamundo, now available on iTunes and on Amazon.com.